Spaces are Limited so register soon! When using on line registration, our system works in real time. When options are not available, it means that selection is full. If selectable, there is space in the program for your child. Divided into cabins by age and gender, our traditional camp programs (either 2, 3 or 4-weeks) offer the best is summer camp experiences. Each night, campers visit our famous program board to select their programs for the following day. At Can-Aqua we place special emphasis on individualized teaching, which allows each camper to move through programs at their own pace. Our awards system is intricate and ensures that growth and development is recognized and interlaced between simple fun. In addition to activity selections, campers take part in a mix of programs divided by cabin, section, team, gender and full camp each day. As the session progresses, campers will have the opportunity to take part in an overnight camping trip with their cabin mates. Towards the end of each session, our Can-Aqua Games are a highlight to the experience. The mini games take place halfway through each month, followed by a larger games program at the end of each month. Campers who stay for 4-weeks not only benefit from additional instruction and program time but also have the opportunity to take part in an advanced Algonquin Outtrip, are eligible for advanced swim instruction (Bronze Med & Cross) and enjoy being part of the popular mid month “changeover program”. Sunday, August 11 – Friday, August 23. 2nd child, $40 off per week. 3rd child, $60 off per week. 4th child, $100 off per week. Divided into cabins by age and gender, our traditional camp program (either 2, 3 or 4-weeks) are the signature programs here at Can-Aqua. Each night, campers visit our famous program board to select their programs for the following day. At Can-Aqua we place special emphasis on individualized teaching, which allows each camper to move through programs at their own pace. Our awards system is intricate and ensures that growth and development is recognized and interlaced between simple fun. In addition to activity selections, campers take part in a mix of programs divided by cabin, section, team, gender and full camp each day. As the session progresses, campers will have the opportunity to take part in an overnight camping trip with their cabin mates. Towards the end of each session, our Can-Aqua Games are a highlight to the experience. Our mini games take place halfway through each month, followed by a larger games program at the end of each month. *Campers who attend for 4-weeks remain at camp for “Changeover”. During this weekend, campers enjoy the run of camp through electives and outings in and around the community. Receive a discount if registering before Nov 30. For those interested in a shortened camp stay, we have two options. Our shortened stay programs are ideal because they cater to younger campers or kids with busy summer schedules. Because our first week of camp is more structured, kids attending for a short stay will be able to develop confidence routine, selecting their program options each day. Our 1A/3A/4A programs offers the opportunity to take part in half a session. This is ideal for younger kids with older siblings who are attending for the full session. During their 8 days, campers will focus most time on daily program board options. During 6 day programs, kids will experience more of the creative side of all camp activities such as the Can-Aqua Games. Intro Camp is for kids 5-8 yrs old this summer. Our Leadership programs focus on the development of key social and cooperative skills in young people. Beginning at fifteen years of age, the 4 week programs encourage candidates to take on responsibilities or role modeling as they are challenged to support the campers that look up to them. Leaders in our community, candidates will work towards achieving certified levels in First Aid, CPR and NLS. Both leadership programs involve an extended outtrip as well and provide your young leaders with ample opportunities to continue to learn and grow, while taking on more responsibilities to ensure our camp community remains exceptional. The LIT is a one-month program for candidates who are 15 years of age by the upcoming camping season (priority given to those born before Jan 1). Throughout the month, participants will be encouraged to begin thinking as a leader, while still enjoying the freedom of program selection each day. Participants work towards earning their Bronze Medallion or Bronze Cross during the program. Canoe Trip A 5 day trip gives participants the opportunity to learn more about the preparation, organization and leadership of a canoe trip. The canoe trip takes place nearby in the AnneStuther Tripping Loop. An LIT Director supervises each trip group with the support of an alumni support staff. Leadership Skill Development The Can-Aqua LIT program offers a unique approach to skill development. Half of each day is devoted to program requirements, which involve swimming, leadership and trip skills preparation. From there, LIT’s take to the Can-Aqua Programming Board each day to select the other programs which they wish to participate in. Not only do LIT’s have full access to all elective program choices but they will also benefit from team programs throughout the month. The Can-Aqua JRC represents a big step in a transition from a camper to a counsellor. This program is one month in duration and is available during July or August Camp each year. JRC’s reside in their own cabins and are assigned to specific camper cabins based on age preferences and availability. Candidates will divide their day between personal development and as a support to their assigned cabin where they will eat meals, socialize at rest hour and support during unstructured times at camp. The focus of the JRC program is to develop and enhance the soft skills of exceptional leadership. In addition, candidates will train to complete their Standard First Aid, Level “C” CPR and their National Lifeguarding Level (NLS). Throughout their month at camp, JRC’s must balance skill development, with program implementation, advanced trip skills and cabin based leadership. In addition to their own skill development, they will also represent Can-Aqua as Leadership Ambassadors, as they tour partner Ontario Summer Camps. This 2 night trip builds a basis for how to leap short canoe trips for kids. Each participant will learn aspects of health and safety with an emphasis on trip facilitation as well as a tool kit of creative programming. From their experience, candidates can then choose to grow their base of instruction, working towards facilitating longer multi night trips. A highlight of the program is the opportunity to plan and implement full camp programs from section based to camp wide games, including the renowned “Can-Aqua Games” at the end of the month. *JRC’s are given an opportunity to collect volunteer hours through active work and engagement in this program. Divided into cabins by age and gender, our traditional 3 week program offers extended programming options and the opportunity to take part in Changeover. At Can-Aqua we place special emphasis on individualized teaching, which allows each camper to move through programs at their own pace. Our awards system is intricate and ensures that growth and development is recognized and interlaced between simple fun.In addition to activity selections, campers take part in a mix of programs divided by cabin, section, team, gender and full camp each day. As the session progresses, campers will have the opportunity to take part in an overnight camping trip with their cabin mates. Towards the end of each session, our Can-Aqua Games are a highlight to the experience. Our mini games take place halfway through each month, followed by a larger games program at the end of each month. *Campers who attend for 3 weeks remain at camp for “Changeover”. During this weekend, campers enjoy the run of camp through electives and outings in and around the community. Specialty Camps at Can-Aqua have been designed to offer kids who have specific passions, a specialized focus while still submerged in summer camp life. These single week programs are ideal for kids who want to take part in summer camp but have a passion for waterski and/or wake boarding, Film Production, and Horseback Ridingt. Campers in specialized programs lose 1-3 electives each day in place of their special focus, but they still remain very connected to the camp community. This structure ensures all campers enrolled in specialty programs are still actively engaged in the day to day camp life. Applications for summer camp are accepted on a first come, first serve basis. Spaces are held only after deposit has been processed with a completed application. An email confirmation will be sent out from the camp after enrolment is complete. Our detailed Spring Information Package will be sent out to families in May. $350 per child for those registering for 1 week of camp. $500 per child for those registering for 2 weeks of camp. $800 per child for those registering for 3-4 weeks of camp. The remainder of the camp fee, including applicable taxes and optional bus/airport transportation fees, are due May 1st. any time before March 1st, you’ll be refunded your deposit and fees paid, less $150.00 per child. between March 1st and March 31, you’ll be refunded your deposit and fees paid, less $250.00 per child. between April 1st and April 30, you’ll be refunded your deposit and fees paid, less $300.00 per child. 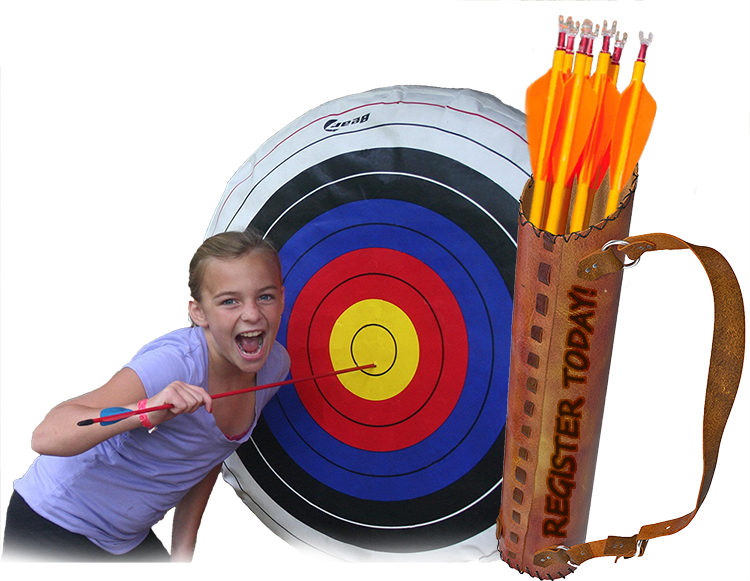 between May 1st and May 30th, you’ll be refunded all registration fees (due May 1st), less $400.00 per child. There is no reduction in fees for campers arriving late or leaving early. Family Camp is a terrific opportunity for parents and kids to experience our summer programs as a family. Ideal for kids and adults of all ages, Camp Can-Aqua’s family camp weekends provide you with an opportunity to play as a family, or divide into the age specific programming options that offered throughout the day. Our divided programming focus offers programming for toddlers, kids, teens and yes… adults!!! Throughout the weekend, our staff will provide creative and engaging program opportunities that are age appropriate, safe and fun. For parents wanting to spend some quality family time, we have a handful of drop in and sign out activity options, which allow you choose between structured programming or doing your own thing. Click to download the Family Camp 2019 Registration Form. Designed as our early introduction to the overnight camp experience, the Can-Aqua Day Camp program focusses on providing campers with a taste of the world on Beaver Lake. Beginning at 9:45 each day until 4:30pm, the program offers kids the opportunity to take part in two day camper rotations each day as well as two electives. This structure allows the kids to create unity with each other, while also providing some exposure to the residential campers on site as well. Sessions run Monday to Friday each week from 9:45am till 4pm. The date is TBD, but we are excited to welcome our summer campers back to camp for a weekend of Fall Fun!!! Taking place over a fall weekend, this short adventure is a great opportunity to have kids reconnect to Can-Aqua before the end of the season. Campers will enjoy a fall flavour to the weekend as they carve pumpkins, jump in the leaves and enjoy one of the most impressive seasons up north. While water programming will be limited, the boats will be in and adventures will be had both on land and in the lake. Be sure to pack warm clothes and swimwear! Bussing is included in the fee. Camp Can-Aqua is pleased to accept all major credit cards for deposit payments only. A 2% processing fee applies to all credit card charges made on any other fees. For families wishing to send email transfers, please send transfers to info@canaqua.ca. For security question please use your campers last name. If you wish to pay camp fees using this method, please contact our administrator at accounts@canaqua.ca for account transfer data.